Dr. Graham is a native of Santa Barbara where at Dos Pueblos High School, he competed on their waterpolo, basketball, volleyball and tennis team as a multi-team Varsity Letterman earning All CIF 4A Honors in the 1980’s. After obtaining his BS from USC and graduating from USC School of Medicine, he completed a residency in Orthopedics at UC Irvine Medical Center; one of the premiere “Hands On” training centers for orthopedic surgeons. During his residency, Dr. Graham worked at the Kerlan-Jobe Orthopedic Clinic as an assistant team physician with the Los Angeles Lakers and Anaheim Angels. Dr. Graham then traveled to the prestigious Cleveland Clinic for further training with a Fellowship in Sports Medicine. During his Fellowship, he was the Team Physician and Orthopedic Consultant for the NFL’s Cleveland Browns, NBA’s Cleveland Cavaliers and the WNBA’s Cleveland Rockers. He worked at the NFL Combines evaluating players for the NFL Draft process along with Rookie and Veterans Camps. 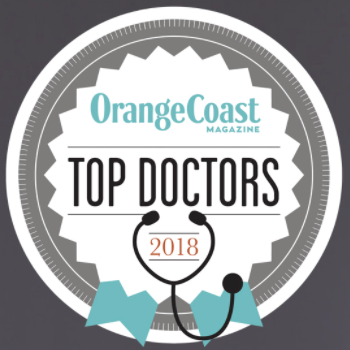 Every year the Orange County Medical Association (OCMA) conducts an extensive survey of the region’s top doctors in a wide range of medical fields. The goal of the OCMA’s list is to provide patients with the names of the best doctors who are known as some of the most accomplished and caring. Each physician is rated on the leadership they demonstrate, the teaching and mentoring they provide, the research they conduct and the humanitarian efforts to which they are committed. This year, the OCMA named 425 doctors in 61 specialties to its Physicians of Excellence list. Dr. Graham was named to the 2014 list in the area of Orthopaedic Surgery and Sports Medicine. This is the second year in a row Dr. Graham has been honored.